Jeff Lewis and Gage Edward prepared for a baby as much as they could have…then she was born. Let the madness begin! This week, Flipping Out follows Jeff and Gage as they travel back to Valley Vista with their newborn daughter, Monroe, wading through the first hours, days, and months knee-deep in diapers and midnight feedings. Good thing Gage didn’t piss that nanny off too badly last time she visited! He needs her now like Jeff needs his breath spray. And by that, I mean, desperately. Before they leave Chico, their surrogate, Alexandra, must say goodbye to the baby she carried in her womb for nine months. Even though Monroe is not biologically hers (Jeff and Gage had a separate egg donor), it’s still an emotional process for Alexandra to let go. Naturally. “My heart hurts looking at her, it’s so full,” she says while rocking her. Jeff and Gage wanted Alexandra to hold Monroe before she left, which they hope provides closure, but aren’t sure whether it just made everyone more sad. Jeff also hopes to get more sleep in the coming days because they literally got zero the night she was born. From one parent to another, Jeff, let me say: BWAHAHAHAHAHA!!!!!!! Bless your heart. 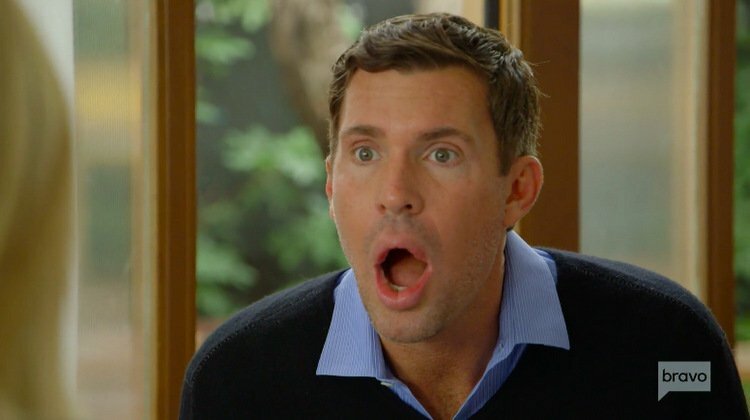 It’s the day Jeff Lewis and Gage Edward have been waiting for! Not to mention we diehard Flipping Out fans, who have traveled a long journey with Jeff and the gang since he was just a relatively nameless OCD dude on a little network called Bravo. Last night delivered – both metaphorically and literally – a turning point in Jeff and Gage’s lives: the birth of their daughter, Monroe. And if you haven’t seen this episode yet, I’d suggest at least taking a peek at the birthing scene. The look on Gage’s face as Monroe makes her entrance into the world is incredible, and the new fathers holding their baby for the first time is about as sweet as it gets. 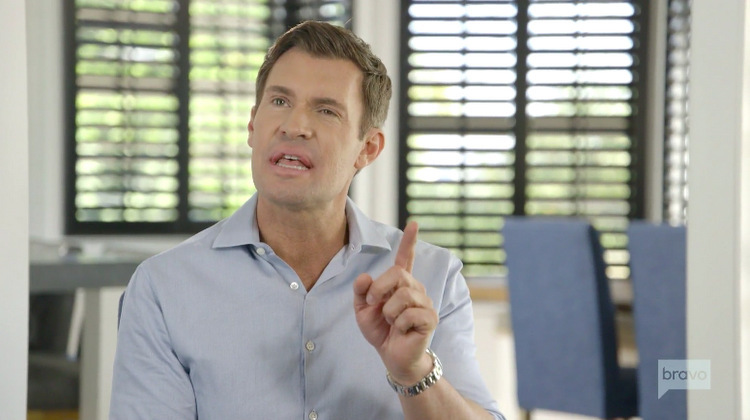 The baby countdown is closing in on Jeff Lewis and Gage Edward, and last night’s Flipping Out highlighted, yet again, the very different ways these fathers-to-be deal with stress. With two weeks to go before their daughter’s birth, half of Valley Vista still under construction, and Vanina Alfaro threatening to quit, Jeff decides now might be a good time to buy a brand new property! Also, he decides to learn CPR in case Gage wills himself into a catatonic state. 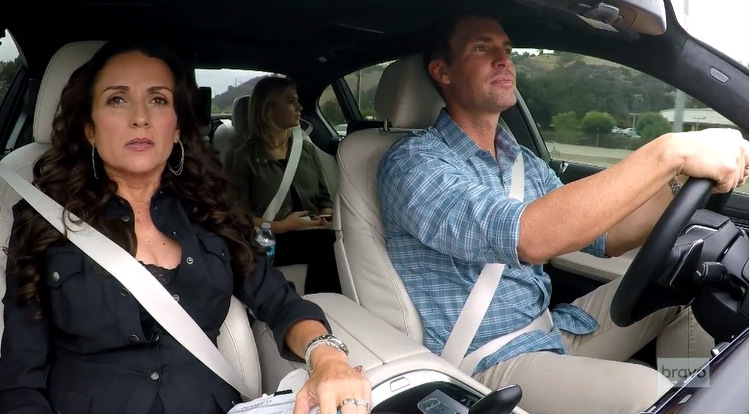 Picking up where we left off last week, Jeff, Vanina, and Jenni Pulos are in the car. Vanina has just admitted she’s not feeling valued at Jeff Lewis design, and thinks it might be time for her to leave. Jeff asks if she feels respected. No. She feels overwhelmed, overworked, and under-appreciated. Jeff tries to joke around the issue, but Vanina’s not having it. Jenni knows this is no time for poking fun at a crying woman, and flatly calls him out on it. But he’s uncomfortable with Vanina going dark. “Respect the darkness!” commands Jenni, who has shockingly become a Jedi Master since last season. Flipping Out Recap: What Will Jeff Do? For season ten, we pick up just four weeks before the birth of baby girl Monroe, whose arrival will change everything. And Jenni Pulos doesn’t know it yet (at time of filming), but she’ll be expecting baby number two – her second daughter – who was born this past June after a long and arduous IVF journey. Whew. There’s a lot of life changes on the horizon for this crew. So, let’s jump right in and see how it all shakes out! 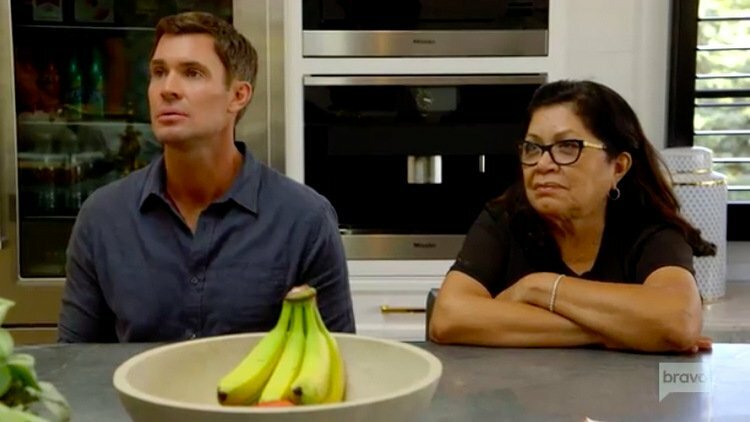 Season ten of Flipping Out is upon us, people! And it’s going to be a whole new world for first time fathers Gage Edward and Jeff Lewis, whose daughter, Monroe, was born via surrogate last October. Jeff recently discussed how life – and his OCD – has (and has not) changed since Monroe came into their lives and how he finally had to let his long time housekeeper and mother figure, Zoila Chavez, retire. With enormous life changes this year, Jeff says the viewers are in for a different kind of season. He does, however, admit that his crusty old ways aren’t entirely gone. (For example, preview clips show Vanina Alfaro being brought to tears by yet another one of Jeff’s tirades.) But daily life has changed for Jeff. Besides the laundry, diapers, and toys, he’s still getting used to something else – someone else – needing his attention besides work. On last night’s season 9 finale of Flipping Out, it was the end of one era and the beginning of another. As Jeff Lewis and Gage Edward say goodbye to Zoila Chavez living with them, they make room for the new life who will be joining them all too soon. When Jeff and Gage see their daughter move on an ultrasound, that new era becomes more of a reality than ever. Despite these emotional transitions, Jeff and the gang must still keep up their hustle. So they take a job with Real Housewives of Orange County star (and close friend of Jeff’s) Shannon Beador to decorate her new home. And her budget is HUGE!